Lichen Planus Treatment In Delhi With Expert Dermatologist. 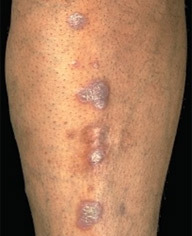 Lichen planus is a skin condition which is non-infectious, itchy and can affect any part of the body eg. arms, legs, mouth. It is associated with immune system. Various oral & topical medicines along with intralesional injection can also be given.